Population health outreach allows healthcare providers and payers to proactively target specific groups of patients in order to help them live healthier lives. From educating populations on chronic diseases to reinforcing healthier lifestyle choices, population health outreach can deliver personalized wellness information to a variety of patients based on their needs, medical history, and risk factors. Not only does this help to improve the health and wellness of patients, proactive population health outreach can also reduce unnecessary hospital and Emergency Department utilization, helping to save healthcare organizations money. While most healthcare organizations recognize the importance of population health outreach, some practices fall victim to three mistakes that prevent their care management programs from achieving success. Read on to learn what patient outreach mistakes could be hurting your population health outreach strategy, and discover proven alternatives that can increase your chances of success. 1. Communicating Only With High-Risk Patients: Patients with a high-risk for health challenges are often the most costly for many health systems. As a result, many population health outreach strategies prioritize these patients and neglect to move beyond them to other population groups in hopes that the focus will bring them greater financial returns. Why It Hurts: In addition to costing healthcare organizations the most money, high-risk patients can also be harder to manage. With multiple chronic conditions requiring complex care plans, it can be difficult to achieve and sustain long-term success, both clinically and financially. Targeting patients with a moderate or rising risk can help minimize the likelihood they become high-risk patients in the future, saving your organization money in the long run. 2. Ignoring The Barriers Your Patients Face: Healthcare organizations often blame poor outcomes on non-compliance with care plans, while failing to recognize the social determinants of health that impact the patient’s ability to make healthy choices. Why It Hurts: The social determinants of health, or the conditions in which individuals live, work and play, are relevant factors in whether or not they adhere to their plan of care. For example, does their geographic location or socioeconomic status impact their ability to keep appointments? Or are transportation challenges preventing them from accessing the care they need? Ignoring these barriers perpetuates a lower quality of care for patients affected by social and economic factors outside of the walls of the healthcare office. Another frequent barrier is access to affordable medication. Being able to identify patients who may not be able to afford rising medication prices can help providers and payers think through budget-friendly alternatives, including how and where they can buy generic alternatives. Read about other questions to consider when anticipating the potential barriers your patients face. A More Effective Alternative: Take a more comprehensive approach to your population health outreach by understanding the barriers your patients face and plan for ways to help them overcome those challenges. Whether it’s a financial barrier or a physical limitation, providers and payers can tailor population health outreach for patients. For instance, if transportation is a barrier, EMR-integrated technology can use filtering criteria to determine eligibility for patients who may need a ride. Systems can then automatically coordinate a ride via partnerships with on-demand transportation services, such as Uber or Lyft. Or, Medicaid patients may be eligible for non-emergency medical transportation (NEMT), which offers transportation services to patients who face barriers in getting to their medical appointments. Proactively addressing these obstacles as part of your population health strategy will dramatically increase the success rate of your patient outreach. 3. Repeating The Same Thing You’ve Always Done: Traditional population health outreach relied on manual communication to reach targeted groups of patients, which is labor-intensive and time-consuming. Why It Hurts: While an effective approach to patient outreach may involve direct phone calls to individual patients, it’s impossible to scale across a large population or even multiple groups of patients. Doing so requires a large number of resources and time, with limited results constrained to a small group of your patient population. A More Effective Alternative: Modern, automated solutions help providers and payers scale population health outreach and engagement while maintaining a personal touch based on each patient’s individual care plan. Outreach solutions leveraging technology allow providers and payers to deliver health information, preventative messaging, and treatment compliance to a variety of targeted populations while preserving limited resources. With seamless integrations into Electronic Health Records or practice management systems, you have complete control over the timing and content of your communications as your team reinforces patient behavior and adherence to care through population health outreach campaigns. Multi-channel solutions, such as Providertech’s population health outreach technology, offer text, voice, and email so that you can reach your patients however they want to be reached, whenever you want to reach them. Avoiding these population health outreach mistakes will help providers and payers achieve improved quality and effectiveness of care while lowering costs for patient population groups. For some healthcare organizations, that may mean changing up the way they conduct patient outreach. Effective population health outreach strategies require healthcare organizations to tailor communications at scale across populations with a variety of needs. 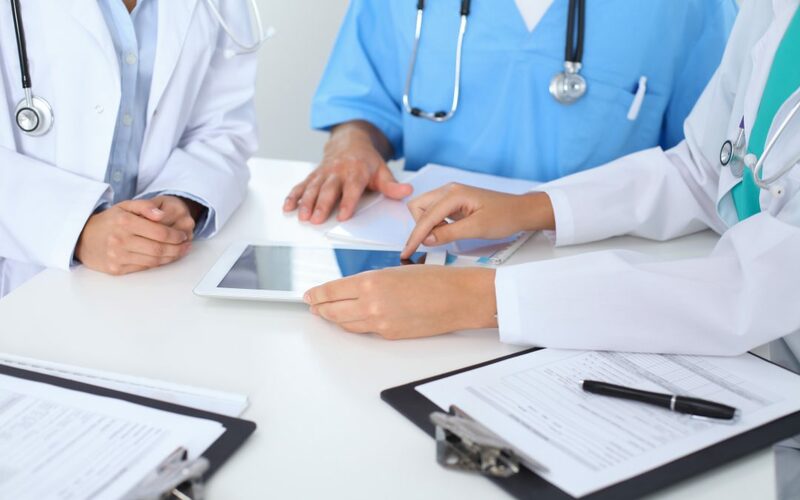 Automating patient outreach allows providers and payers to engage a larger number of patients more effectively, meeting them wherever they are during their care journey. To improve your patient outreach success, read about six key areas your organization should explore when designing and developing a successful population health outreach program.